While I am furiously cross-stitching I thought I would pop this bag on for you all to see. 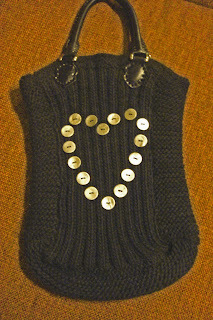 I knitted it for a friend who was going to a 'Hand Made Bag Lunch' in Auckland. I was jolly pleased with how it turned out.